Go to People > All People. 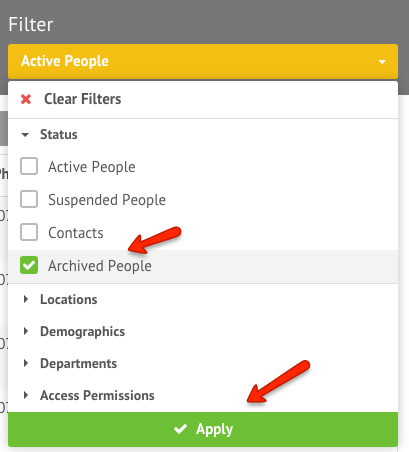 In the filter dropdown, expand on Status, and select ‘Archived’. 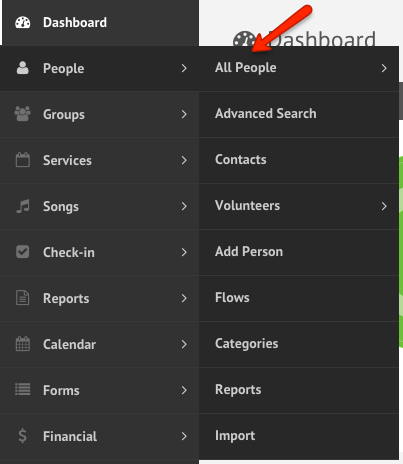 Click the ‘Apply’ button to reload the list of people. Click the ‘Mark as Active’ or ‘Mark as Contact’ link underneath the the person you wish to reactivate. Click the ‘Mark as Active’ button, or select the Drop down to Mark as a Contact. Once an option has been selected, you’ll be taken to the person’s profile for any additional edits.